Thanks to intensive farming, salmon has become a cheap and affordable fish to everyone. Unfortunately farming does not replicate the splendid taste that salmon develops living in the wild in the cold waters of the north where the fish swim against the current. If you happen to find wild salmon, do not hesitate to buy it, it’s worth trying it at least once. Add the carrot and the halved onions to a pot for steaming. Add water and a little salt. Place the the salmon steaks in steaming basket and cover. Turn the heat to maximum heat. When it begins to boil calculate 10 minutes of cooking time. While the fish is cooking prepare the sauce. 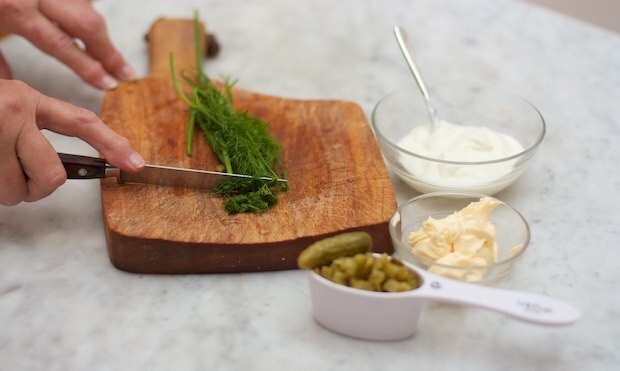 Chop the herbs then thoroughly mix them together with the yogurt, mayonnaise, mustard, and pickles. Place a piece of fish and top with sauce on each plate. If desired you may also accompany the salmon with the carrot and onion flavored from the salmon’s cooking water. 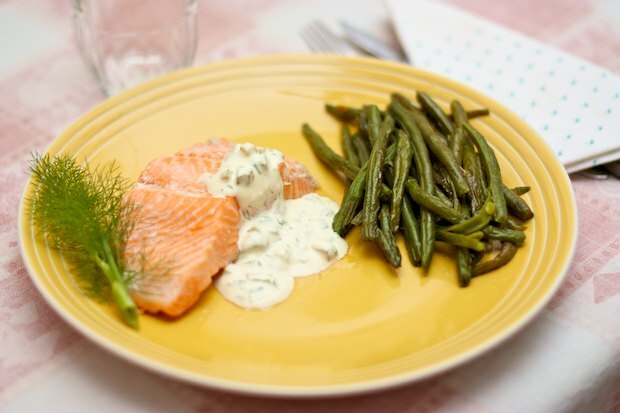 Posted in Fish, Recipes and tagged with Salmone al Vapore, Steamed Salmon. RSS 2.0 feed.